*Now Booking For Fall 2019* Environmental designer Luc Limbourg is known for his beautiful award-winning, original gardens and tropical landscapes, many of them inspired by his many travels. Always looking for sustainability, originality and environmental stewardship. 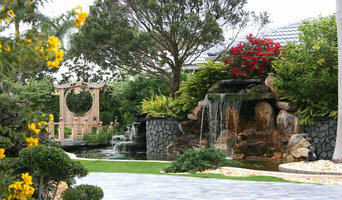 Green Team Solutions is a full service landscape design, construct and maintenance company based in Wellington, FL. Services Provided garden design, patio and hardscape design, installation oversight, garden consultation, equestrian estate maintenance Luc Limbourg graduated from Art Center College of Design and obtained his Bachelor of Arts degree. After moving to Florida he founded Green Team Solutions, became a Florida Certified Landscape Contractor and has been designing and installing landscapes ever since. Eileen G Designs is a landscape and outdoor living design-build company specializing in all aspects of outdoor living: landscaping, pools, water features, patios and walkways, outdoor kitchens, fire pits, decorative pots and pergolas. Our conceptual design services include digital 3D color renderings and landscape plans to provide our clients with a comprehensive understanding of what their design will look like. We also coordinate the installation of our designs with our team of licensed and insured contractors. From conceptual design through to completion of our projects, our goal is to provide our clients with creative and inspired ideas for their outdoor spaces and to ensure an efficient and streamlined process for completion of our projects. 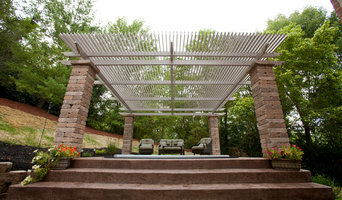 Allow us to assist you in making the most of your outdoor spaces! Call today to discuss your project with one of our designers. Paradelo Burgess is a boutique landscape architecture firm with a focus on elegant and restorative outdoor spaces in Florida. Our landscape architects and team of professionals bring experience to a wide variety of project types; from custom single family homes to international mixed-use developments. Combining luxury design and sustainable planning services, Paradelo Burgess Design Studio will execute your project from conception through implementation with ease for beautiful and exceptional results. Our Studio incorporates a three-tiered approach to its sensible and sustainable designs: Elegant - Our landscapes provide a graceful and comfortable backdrop for your most relaxing or active engagements. Restorative - We aim to restore our sites' natural ecology through water conservation, rainwater harvesting, habitat restoration and the use of sensible, toxic-free materials. Tailored - Your unique style is the foundation of our landscape concept, as is both the prevalent architecture and your community's sense of place. Palm Beach Experienced Kitchen & Bath Remodelers - 2X Best of Houzz! JDLA Landscape Architecture is a landscape architectural design firm specializing in sustainable landscapes for estates and gardens, residential, corporate, parks and recreation projects. JDLA was formed out of my experiences and commitment to sustainable landscape architecture, creating better places for us to live, to work and to engage the outdoor environment. My design inspiration is “in context”, drawn from the surrounding environment, architecture and my client’s visions. I work on a comprehensive level to support and inspire you in your efforts to create engaging and viable outdoor places. JK Design Custom Landscapes inc.
JK Designs, Inc. offers exquisite Landscape Design, Landscape Lighting, Underground Sprinkler Systems and Patio Pavers. 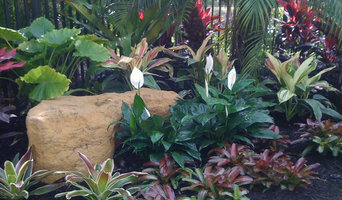 We specialize in landscape solutions to enhance the natural beauty of your home. Our award winning landscape designs are creatively tailored to each clients tastes and needs, and will incorporate the natural surroundings to create an outdoor environment that will give you pleasure for years to come. Understanding of how people’s lives shape and are shaped by their environments has provided unique insights into our design and planning of places at all scales. Whether working in a residential community or a small urban park, our landscape architects and urban designers consider the site's physical surroundings and the needs of the client as well as the financial mechanisms, long-term political effects, implementation, and maintenance of the project. Tucker Design Build creates custom outdoor landscapes, swimming pools, hardscapes, outdoor spaces, water features and custom pools. The team at Tucker Design Build handles all steps of exterior design process, including design, construction, installation and landscaping. Tucker Design Build prides itself on its revolutionary visions, innovative techniques and superb craftsmanship .